Want to help children and teens stay safe and healthy while swimming? Have them take the Healthy Swimming Pledge! 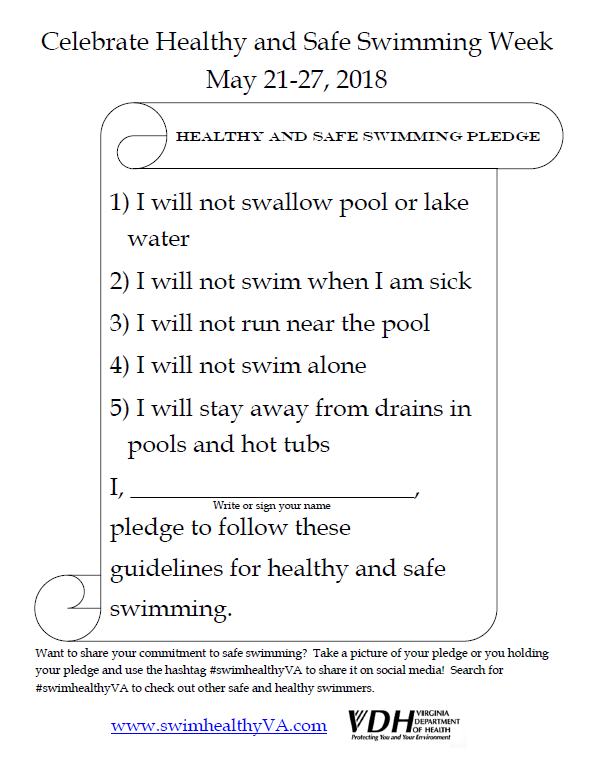 The pledge includes tips and recommendations as well as a section to draw a picture of how they plan to enjoy the water safely this summer. Take a snapshot of your picture and use the #swimhealthyva hashtag to share your pledge to help others learn how to swim healthy and stay healthy!